Great deal on Rising Stars Performing Arts Camp! 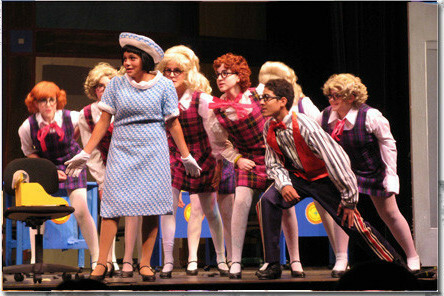 Groupon is having a great deal on a Yonkers Musical Theatre Summer Camp! The Rising Stars Performing Arts Company (headed by Laura Rizzo) has a groupon currently running through Sunday. You can send your kid to a day camp in Yonkers for less than half of what it normally costs! Click here to get the groupon! Each day of camp consists of lessons in dance, drama, and voice, followed by rehearsal for the session-culminating musical, during which students perform backed by a professional orchestra and the camp’s lighting, sound, and costume departments. Open to kids aged 6–18, the camps run from 9 a.m. to 3:30 p.m. on weekdays, with optional extended care available until 5:30 p.m. for an extra fee. Tickets are $12 for students and $17 for adults. Extended Care is available from 3:30-5:30pm for an additional $10.00 per hour. When Laura Rizzo is in a room, kids usually burst out in song. As the founder of Rising Stars Performing Arts Company she has directed more than 150 kids shows nationwide and earned awards and accolades for her directing, teaching, and choreography. With a degree in drama and dance education from NYU and experience in on- and off-Broadway productions, she helps aspiring performers on their paths to the musical theater big leagues by teaching them foundational acting skills and boosting their self-confidence through rewarding performances. To achieve this, she and her team offer summer camps and classes on musical theater, dance, and acting, as well as youth productions of classic musicals, such as Annie Get Your Gun, Guys and Dolls, 13, andSweet Charity. Next post: Our friend Lana was featured in this article!